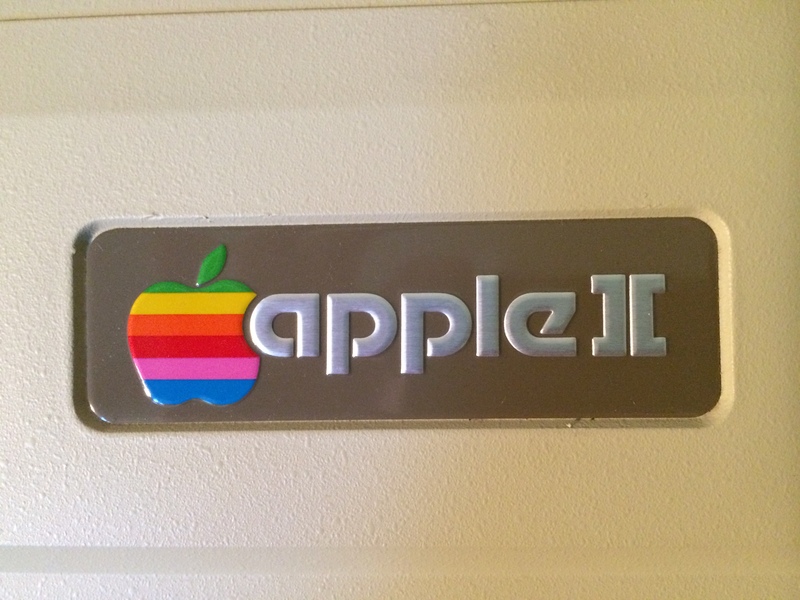 Today, as I write this, Linda and I visited the local Los Altos History Museum to see an exhibit titled “Silicon Valley: The Lure and the Legends.” The theme of the exhibit centered on the technology explosion which has taken place over the last one hundred years in this former valley of orchards. As a retired electrical engineer involved in and intrigued by this colorful history, I know the stories well – the people and the technology companies, many of which have come and gone and changed our lives forever. The institution most responsible for all of this is still here and thriving like never before: The Leland Stanford Junior University. 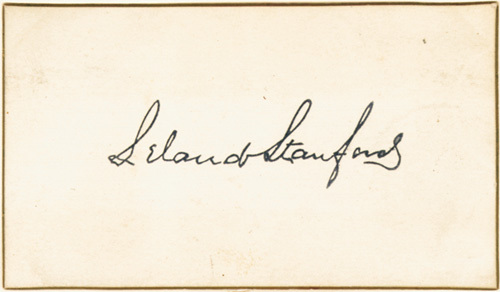 Founded in 1891 by Leland and Jane Stanford as a memorial to Leland Stanford Junior, their only child who died suddenly and early at the age of sixteen years, the university in nearby Palo Alto, California, was the seed-stock from which Silicon Valley took root. It continues to influence the region in a major way, to this day. Seldom in history has a personal vision played-out so well. The university not only fulfilled its original, stated purposes, it has played a major role in transforming life as we know it through the technology companies it has spawned over the last several decades. 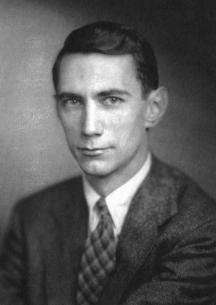 Besides educating generations of engineers, like myself, the school provided the impetus for its graduates to stay in California and start new companies to pioneer new technologies. Prior to the nineteen-thirties, newly-minted engineers from west of the Mississippi would head to the east coast where companies such as General Electric, Westinghouse, and IBM were the established industrial players….with ready jobs. Stanford soon had something else besides fine weather and elbow-room that none of the old, established schools in the east, including the Ivies, could match – and that was professor Frederick Terman in the electrical engineering department – later longtime Dean of Engineering at Stanford. Like Leland and Jane Stanford, Fred Terman foresaw the potential of the young university and its western environs. It was Terman who, as early as the nineteen-thirties when orchards still covered the land around here, envisioned Stanford University as a technology center surrounded by vast numbers of research and development companies which derived their mother’s milk from Stanford’s presence. Fred Terman was dead-center with his vision, and what he visualized is precisely what we have today in Silicon Valley – thanks largely to his efforts. 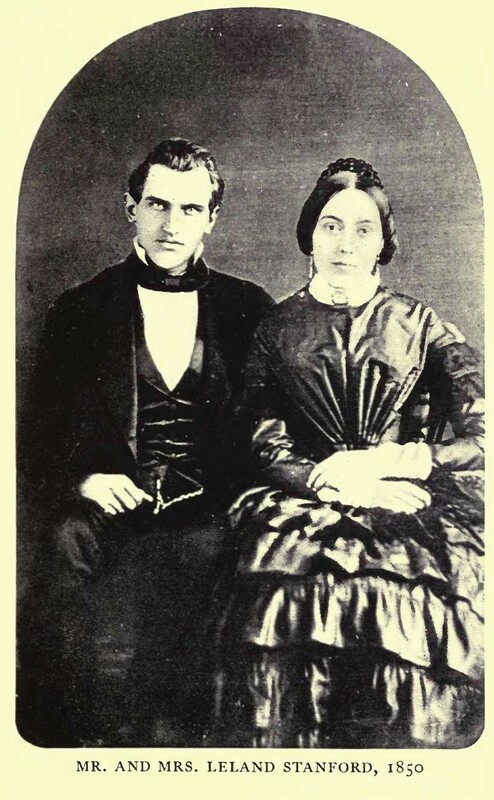 To ponder the changes in this valley over the last sixty years as the result of Stanford University’s influence is to marvel at the enormous gamble of Leland and Jane Stanford in the eighteen-eighties and how marvelously prescient they were! 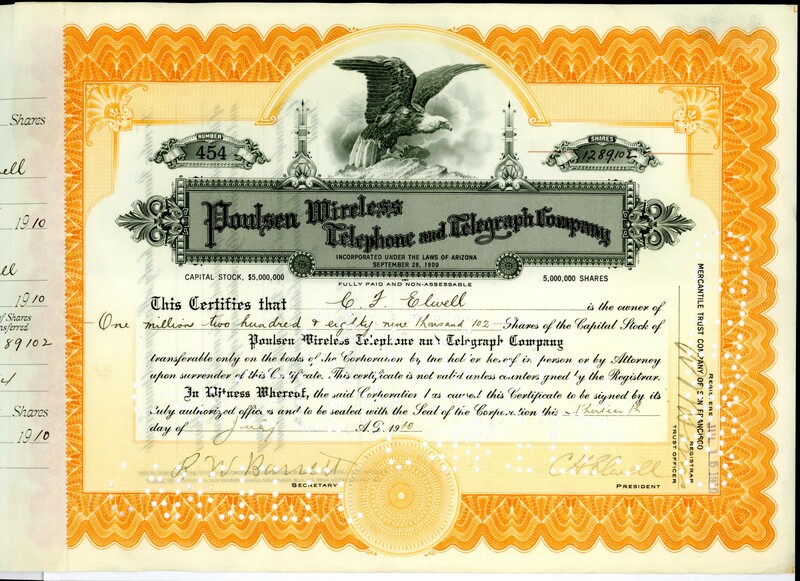 As perhaps one of the earliest examples of the university’s role in this valley, I am able to show you an early founder’s stock certificate dated 1910 from the Poulsen Wireless Telephone and Telegraph Company located in Palo Alto, near the campus. It is for over one million shares of the company, assigned to the president and founder of the company, Cyril Elwell. Elwell was a 1907 engineering graduate of Stanford whose company pioneered early wireless (radio) in the area and quickly became the Federal Telegraph Company. To initially finance his company, Elwell borrowed $500 from David Starr Jordan, Stanford’s first president. Additional funding came from other faculty members thus heralding the beginning of the huge venture capital tradition which has always played a key role in this valley’s dynamic growth. The scope of Stanford’s influence is not confined to just the local region, or even to California; the university and its influence have significantly determined the way many of us live our lives, today. I can cite many specific reasons for the truth of that statement, but that would not be appropriate, here. Suffice it to say that technology has changed the world, and Stanford has played a major role in its pervasiveness within society. The companies spawned by Stanford and the research which takes place on campus have revolutionized all aspects of human existence – from our understanding of nuclear physics to state-of-the-art cancer research at the Stanford Medical Center. For those young students interested in studying the liberal arts, business, the law, or medicine, Stanford also offers a top-tier education that is second to none. My advice to young students: Keep those grades up; you’ll find it very tough to be admitted. If you don’t make it here, try the Ivy League schools! A visit to Wikipedia on the internet will yield many of the pertinent facts about Stanford which support the above contentions. The school’s large array of Nobel laureates is but one indicator of Stanford’s world-role. Yes, I knew all of this before, but I had to pause and reflect on it all yet again after seeing the Silicon Valley exhibit and film, today. Periodically refreshing one’s perspective (I love that word!) is so important. The story of Stanford University and its role in Silicon Valley is unique; what a fine gift to the “children of California,” and what a timeless memorial to young Leland Stanford Junior. California’s “Silicon Valley” is justly known as the technology center of the world. Why here, in this former agricultural valley nestled between San Francisco and its neighbor sixty miles to the south, San Jose? As recently as the 1950’s, this fertile region was covered with apricot, cherry, and plum orchards. Interspersed here and there among the orchards were new, start-up tech companies, but mainly, the region was still about agriculture. Today, the orchards are gone. 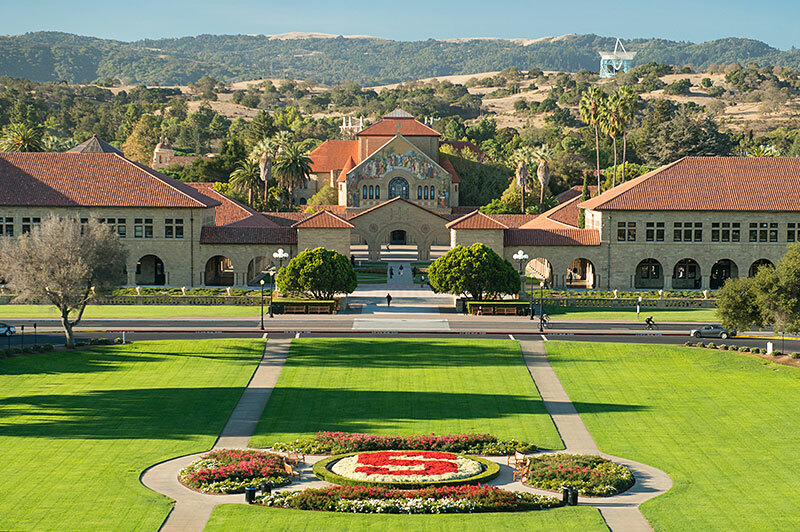 Stanford University, in Palo Alto, was the initial catalyst for the chemistry which created Silicon Valley. 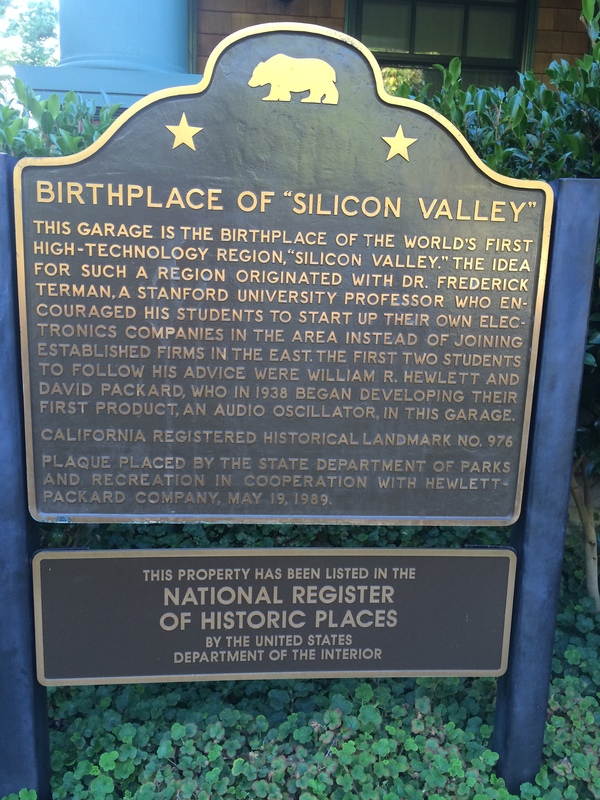 In a sense, the 9600 acre Stanford campus is where it all started, but a small garage tucked behind a venerable old home just a mile or two from Stanford is where Silicon Valley truly began. A garage? Yes, this is where electronics giant Hewlett Packard was born in 1938/39 with a roster of two, Bill Hewlett and Dave Packard. Hewlett Packard, long known as “HP” by the tech community, was merely a pipe-dream of two friends and recent Stanford graduates in electrical engineering (Class of 1934). Stanford was very fortunate at that time to have Fred Terman – a most uncommon individual and educator – as professor of electrical engineering. Terman is rightly considered to be the Father of Silicon Valley and the legacy which ensued, here. Terman had a vision for Stanford and its surrounding environs, one which he proceeded to implement through his prescient encouragement of young engineering grads like Hewlett and Packard. It was Terman who suggested to his two young charges that they go out and start their own business … in this unlikely locale. 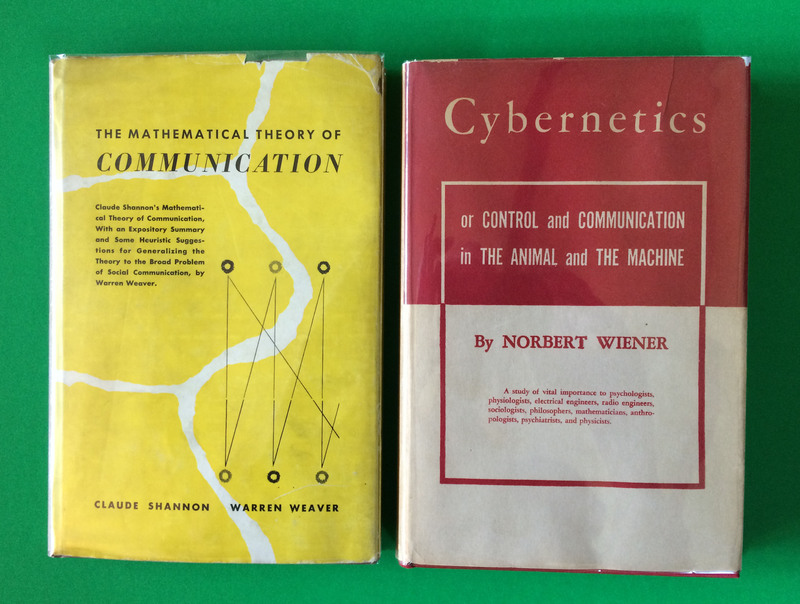 Up until the 1930’s when Fred Terman’s influence took hold, it was not uncommon for young engineering graduates, here, to pack-up, head east, and take the “safe option” by joining established companies like General Electric, Westinghouse, and that growing company in New York, IBM. Under Terman’s influence, the two recent grads decided to give it a try, right here, in Palo Alto. 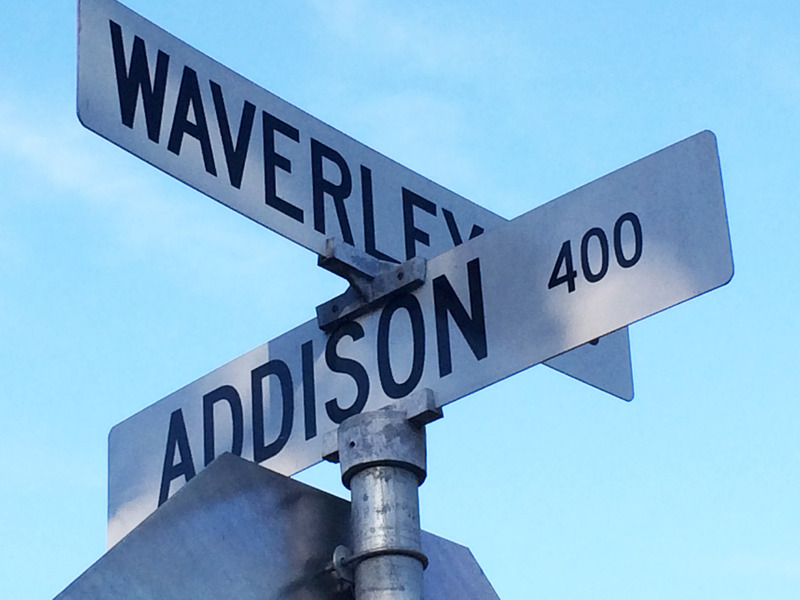 Any seasoned “techie” in this region knows of the house and garage at 367 Addison, about a mile from campus and mere blocks from University Avenue, the main drag of downtown Palo Alto. Linda and I often walk in the area and have passed by that house many times, always pausing to reflect upon the little garage at the end of the long driveway. Often, we continue our walk from there to dinner at a favorite downtown Mediterranean Café and on to see classic movies at the Stanford Theatre, located at the campus end of University Avenue. A few weeks ago, we were walking again, and I said, “Let’s go by the HP garage on Addison!” As we rounded the corner, we saw a group of people going in and out of the house – we had never seen that, before. 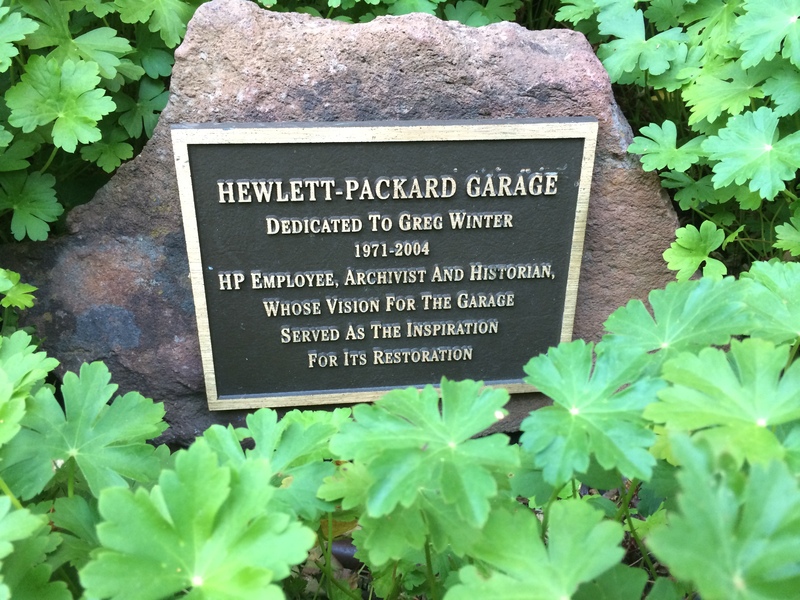 The house and garage were purchased by Hewlett Packard several years ago, being properly deemed an important historical site both for the company and for the region. The house and garage were given a loving (and first-class) renovation, an effort that reflects the importance of the site. I asked a man standing in the driveway who appeared to be part of a security detail what was happening. 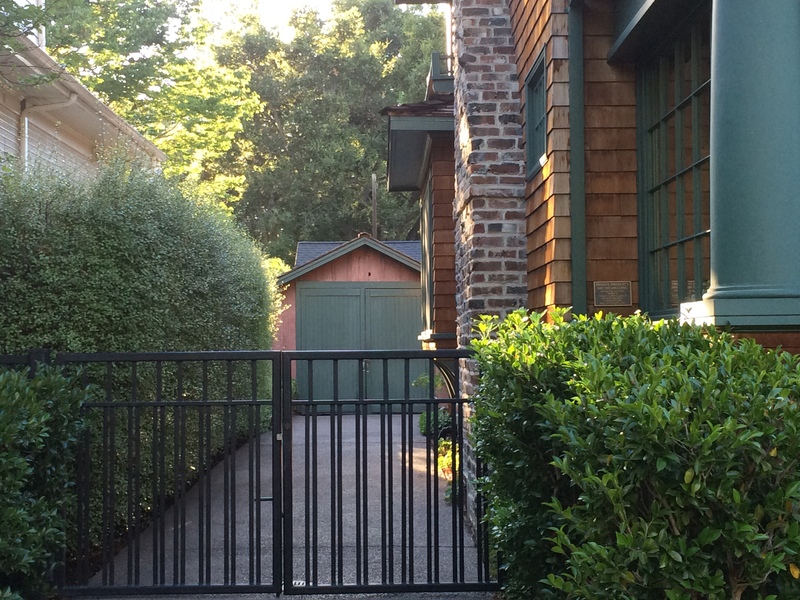 He explained that HP had opened the house and garage for (new?) members of the company’s marketing/sales staff to tour. I explained that I am a Stanford electrical engineering graduate (class of 1963) and a retired engineer, and I added that we often pass by, here, on our Palo Alto walks. He offered, “Would you like to see the garage?” Would I ever! Would a kid like to be let loose in a candy shop? 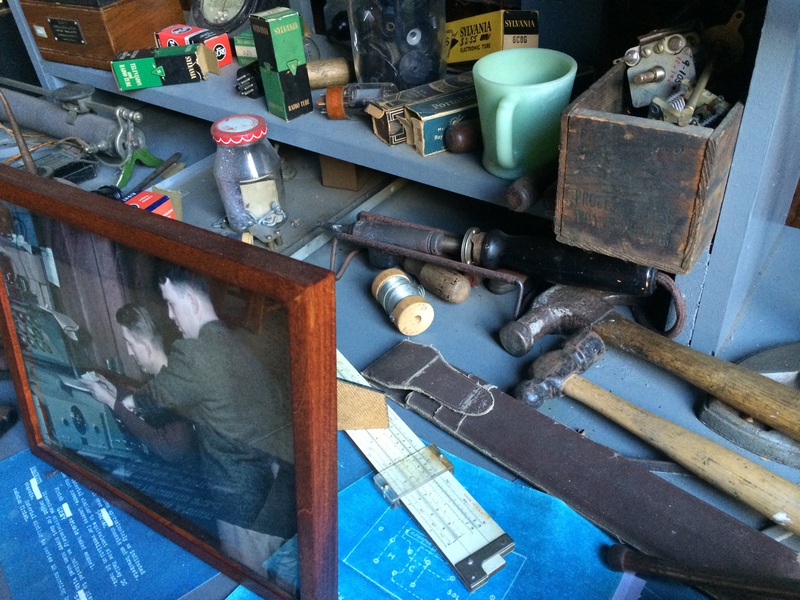 The green front doors of the garage were wide open; inside, I could see the various treasures that I knew the garage contained, some of them original items that had returned home, but which I never expected to personally see up-close-and-personal inside the garage. 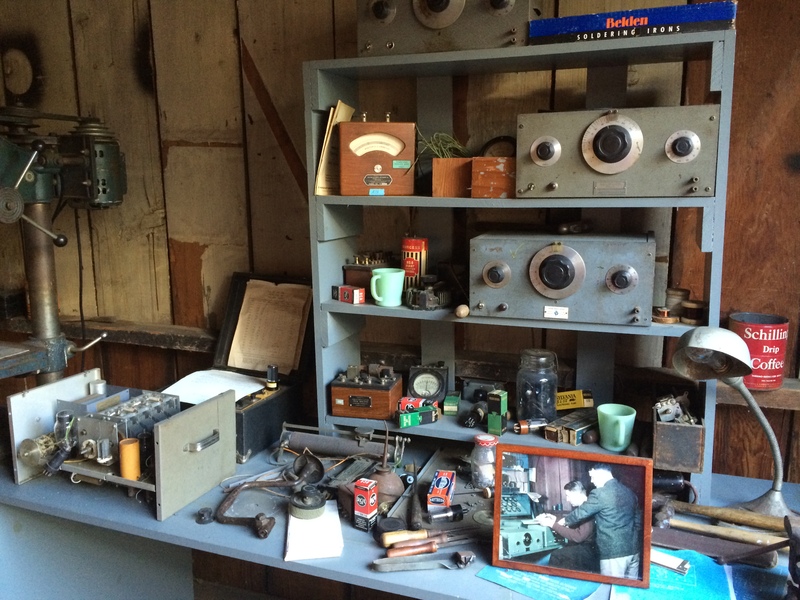 Two HP 200 audio oscillators (Bill and Dave’s first commercial product) sit on shelves above the workbench (the metal cases with the three dials). In front of the slide-rule and the soldering iron is a vintage photo taken as the two young graduates worked tirelessly to birth Hewlett Packard, today a global giant which, along with its offspring companies, has tens of billions of dollars in annual revenue. In my heyday as a working engineer in this Valley, the R&D development laboratories where I and my colleagues worked were chock-full of HP electrical test equipment – of all types; HP was THE standard in lab equipment – here, across the country, throughout the world. I felt privileged having that garage to myself for a while with Linda and the security man in the background. HP has long been to high-tech as Coke is to soft-drinks – practically synonymous. 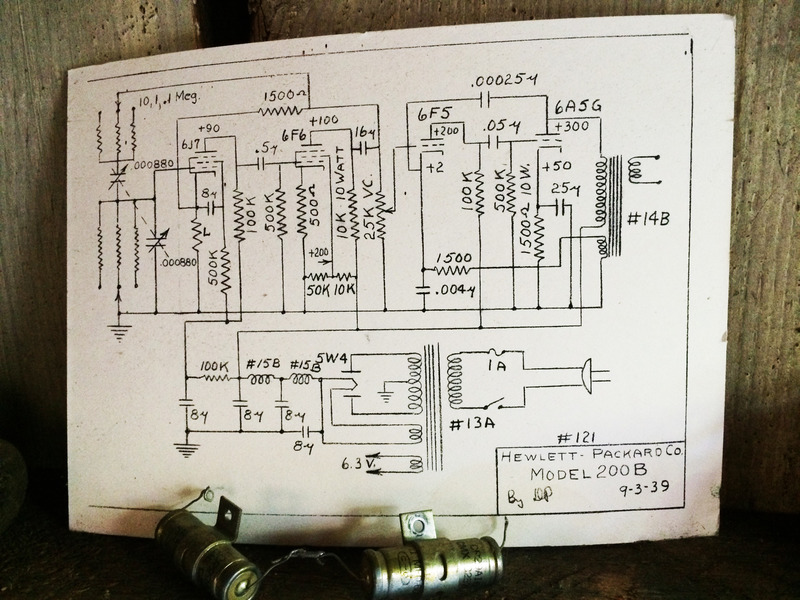 From the humble beginnings before my eyes was born the iconic company that millions of electrical engineers have known like a family member for decades since 1939. In fast-forward fashion, I recalled the countless hours I spent in development labs surrounded by HP test equipment throughout my thirty-seven years as a practicing development engineer. With those working years of my life as an electrical engineer behind me, walking into that garage was like entering a time-machine which transported me back to the beginnings of so much that I knew and experienced over those years. I have known about the garage and been intimately familiar with the HP legend for a long time, but there is no thrill quite like being there and experiencing it first-hand. 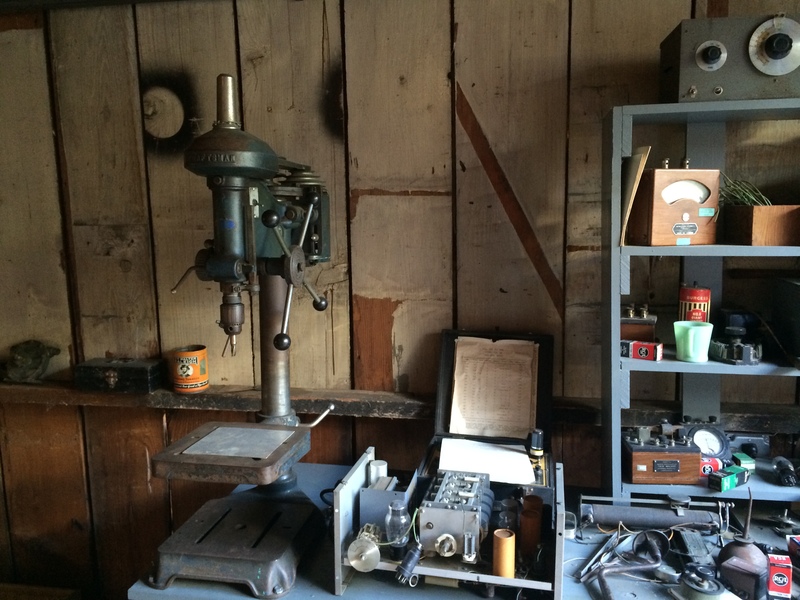 One of the first capital equipment expenditures made by the two young founders was the purchase by Dave Packard of a Craftsman drill press – present alongside the workbench. 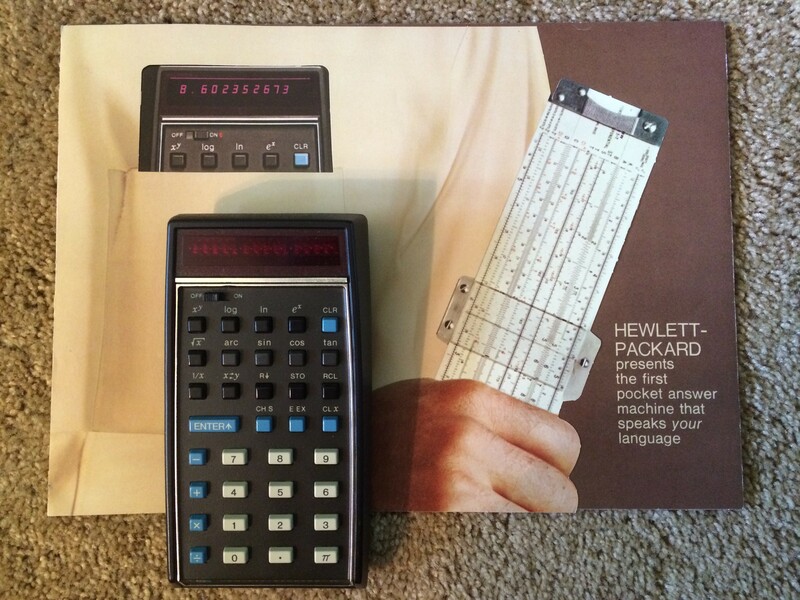 One of Hewlett Packard’s greatest products was introduced in 1972 – the world’s first pocket-sized scientific calculator. The announcement and the product itself created a tidal-wave of excitement…and demand from the engineering and scientific communities. Now, complex calculations, including logarithmic and trigonometric functions, could be completed in seconds with accuracies well beyond the three significant figures of the venerable old slide rule. Bill Hewlett, the more engineering-oriented of the two company founders, personally wanted such a device to become a reality and became involved in the program. At $395 in 1972, the price was steep, but sales boomed. 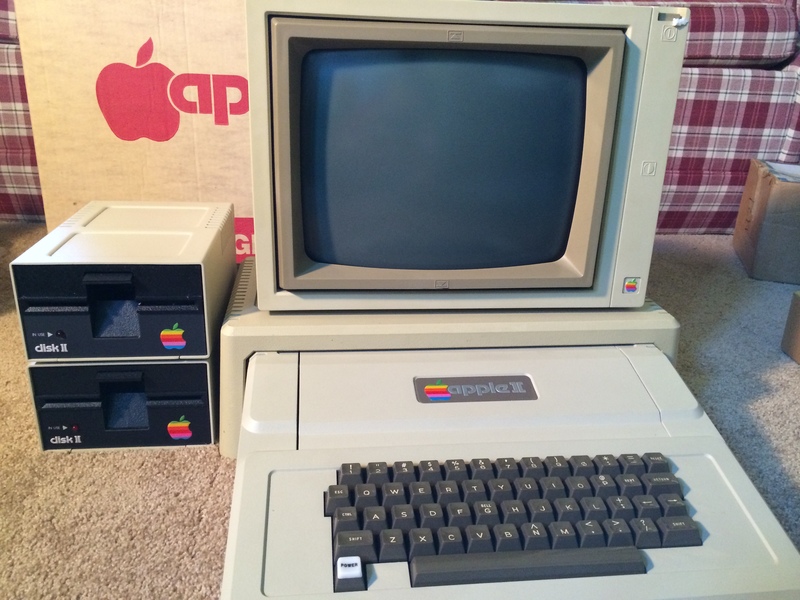 As a retired engineer, I can recall no other product introduction that impacted the rank-and-file engineering profession to a greater extent – except personal computers which followed several years later. 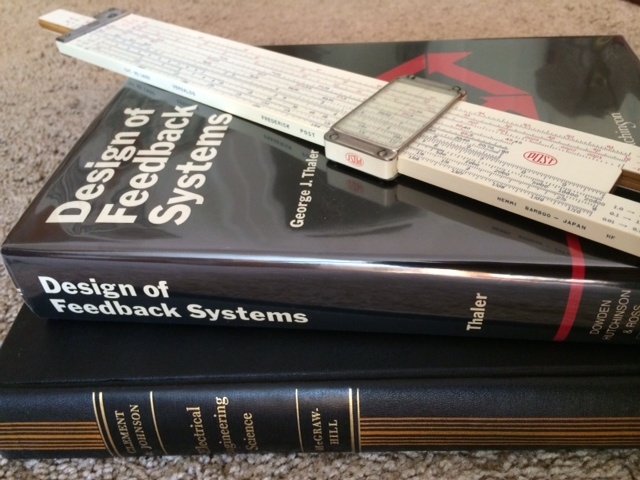 I still have my HP 35 (and my old slide-rule, too). Hewlett Packard engineered the HP 35 beautifully after targeting a ready-made market of engineers waiting to be liberated from the limitations of the slide-rule. Packaging so much capability inside a pocket-sized device with LED display and decent battery life was quite a challenge for the HP engineers. The technology utilized in the HP 35 anticipated the coming microprocessor revolution which would emanate from the start-up Intel Corporation – also located here in the Valley. Robert Noyce, a legendary engineering genius who co-founded Intel, was, a decade prior to that, a principal architect of the whole semiconductor integrated circuit revolution which began at Fairchild Semiconductor in nearby Mountain View. Prior to that, Noyce was a principal engineer at Shockley Semiconductor, in Mountain View, which was founded by William Shockley who shared the 1948 Nobel Prize in physics for the invention of the transistor at Bell Laboratories, back east. Such is our history, here, in this Valley! 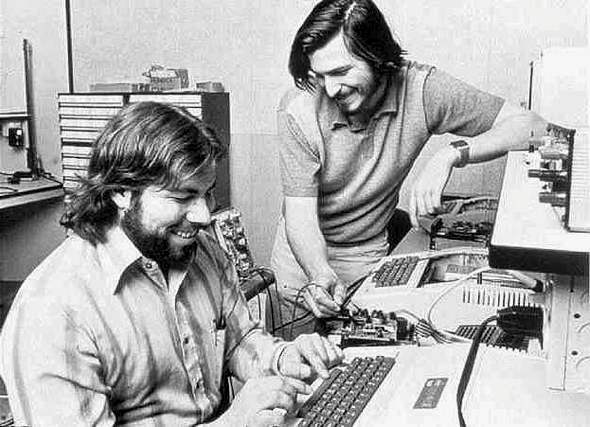 People like these and their companies have largely defined our way of life, today. 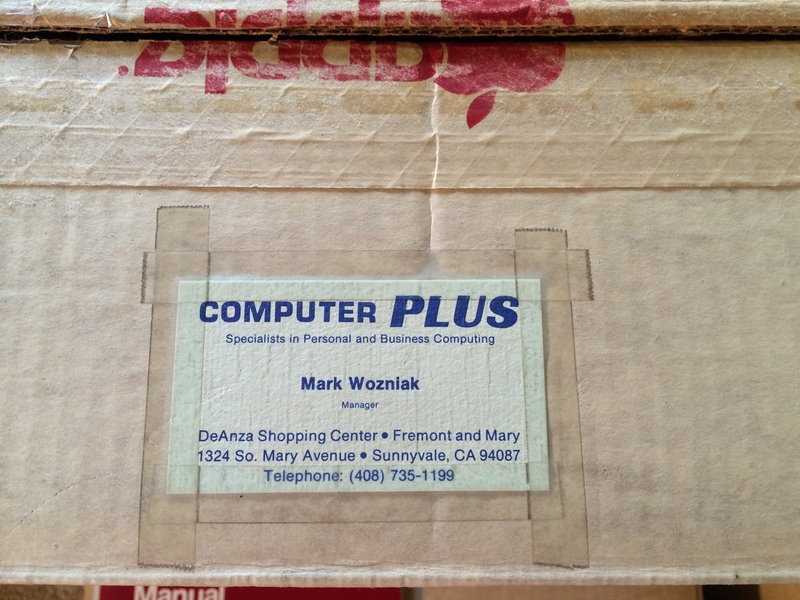 Humble beginnings from which grew a technology giant! 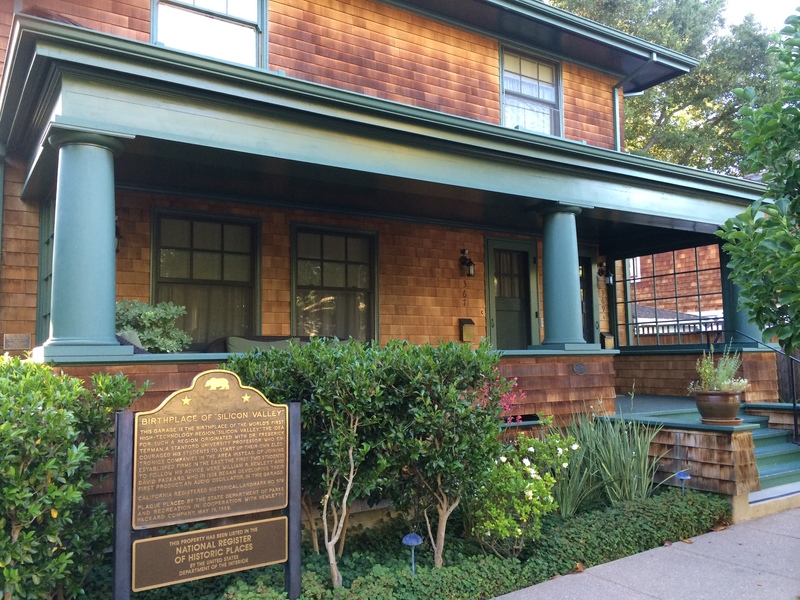 Dave Packard and his young wife, Lucille, were renting a floor of the house by 1938. Although there were few company “perks” back then, the fledgling founder did have an enviable commute consisting of eight steps out the back door to the garage. Co-founder Bill Hewlett, unmarried at the time, stayed in a very primitive “shack” in the backyard, near the garage. The early years were a struggle. The pair’s first “big” contract came from Walt Disney in the form of an order for eight HP 200 audio oscillators to create the then-revolutionary sound-effects in Disney’s upcoming movie, Fantasia. From that point on, Bill and Dave were on their way. The Silicon Valley start-up model fashioned by Hewlett and Packard has been followed by countless entrepreneurs, many of whose small companies have blossomed into mighty tech-corporations – right here in this valley. This way to the Palo Alto birthplace of Silicon Valley! This evening my wife and I are attending a presentation on “growth,” in our cities and towns. The program is being presented by a local environmental group, and we hear that the featured speaker is excellent. The topic of “growth” is of considerable interest to us. Many in America and other parts of the world have serious questions about the upside and the downside of growth in their local regions. 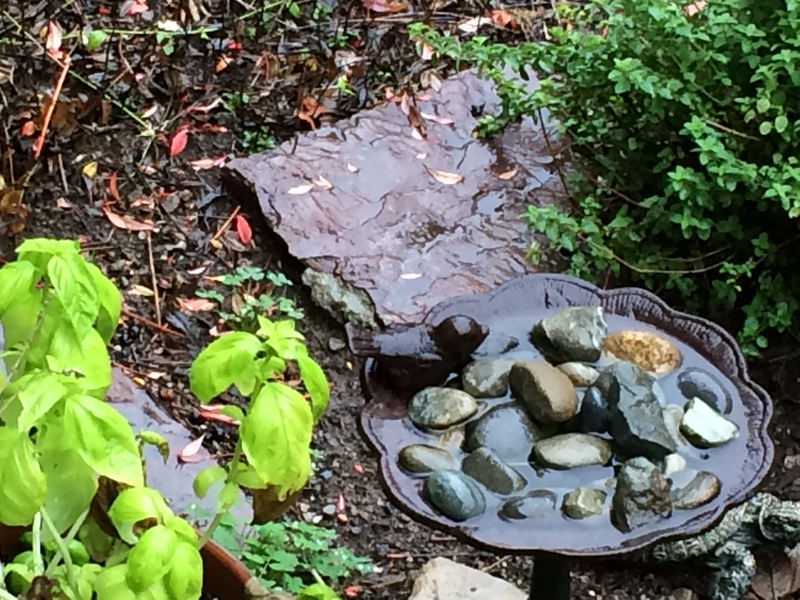 “The Valley of Heart’s Delight” – today known as Silicon Valley, Ca. 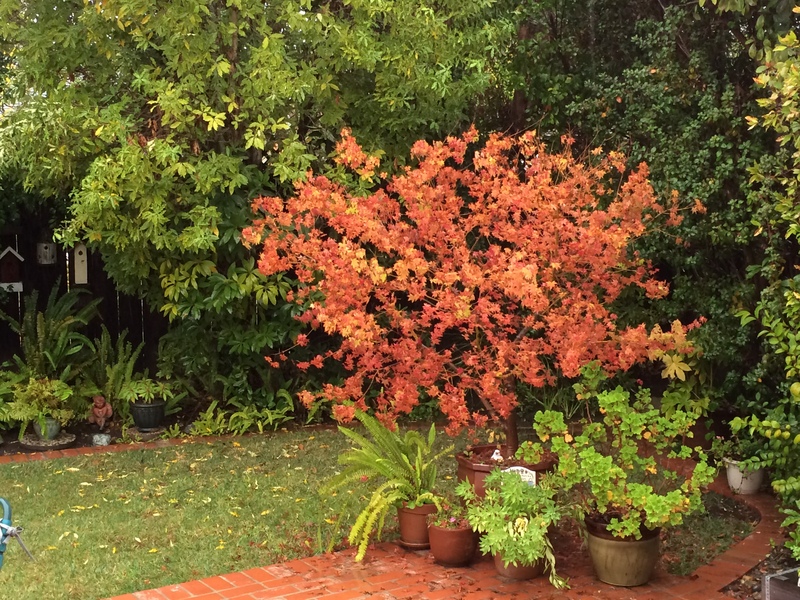 Linda and I have had the great good fortune to live here, in Silicon Valley, California, since 1970. We are located between the major cities of San Francisco and San Jose. Silicon Valley is named after the natural element, silicon – the key and ubiquitous “ingredient” in semiconductor fabrication. Silicon and its attendant technologies constitute the modern-day California gold-rush. Before “Silicon Valley” was so-named in the late nineteen fifties, this fertile valley was known as “The Valley of Heart’s Delight.” As recently as sixty years ago, aerial views of the land revealed one vast landscape of orchards – as far as the eye could see. At ground-level, the view of fruit-tree blossoms in spring and the effect of their perfume in the air were the essence of the term, “delight.” Apricots, cherries, and prunes were especially prevalent and were acclaimed as the very best that could be found – anywhere. Today’s aerial views reveal a very different landscape; the transformation of the area over the past sixty years is nothing less than phenomenal. The fertile soil of the valley has been paved over in favor of roads, roads which connect the myriad of technology companies covering the region. Today, one is hard-pressed to locate even a one-acre orchard anywhere in this valley. The city of Sunnyvale maintains a small portion of its former apricot orchards as part of its community center. The orchard is carefully tended and its delicious cots are sold on-site every year at harvest time – a boon to the local residents. This orchard will be protected and preserved for generations to come. Nestled next to the orchard plot is the Sunnyvale Heritage Park Museum which opened in 2008. It does an excellent job researching, preserving, and presenting the rich historical heritage of this entire valley. This is a history which is both fascinating and crucial to intelligent planning for the future of the region. The presentation on growth which we will be attending is being given at the museum tonight. Like California’s gold rush of 1849 which gave birth to boom-towns overnight, today’s technology boom has converted sleepy valley towns into a wall-to-wall conglomeration of thriving metropolises. Unlike the boom-towns born of the gold rush which were quickly abandoned and fell to ruin once the easy gold was taken, these modern-day cities will be around for a long time to come. Unlike gold, silicon, the major constituent of sand, is and always will be very plentiful, as will the technological applications for it in the form of semiconductors. Discussions about the upside and the downside of growth are particularly meaningful in this most unusual place, because the effects of growth, for better or worse, are so amplified and accelerated in Silicon Valley. I would characterize this region as THE “test tube” locale for city planners studying the effects of growth on residents and their quality of life. Been Here Since 1948: Oh, the Changes that Have Occurred! My credentials for commentary on the changes in this region actually go back beyond 1970 to 1948, the year our young family moved to California from Chicago, Illinois. We lived north of here, in San Mateo – about twenty miles toward San Francisco. Orchards were not so prevalent on the northern peninsula, nearer “The City,” but the life-style in those little population concentrations was distinctly “small town.” I recall the late forties when San Francisco International Airport was one small building that looked much like a suburban Greyhound bus terminal does today. 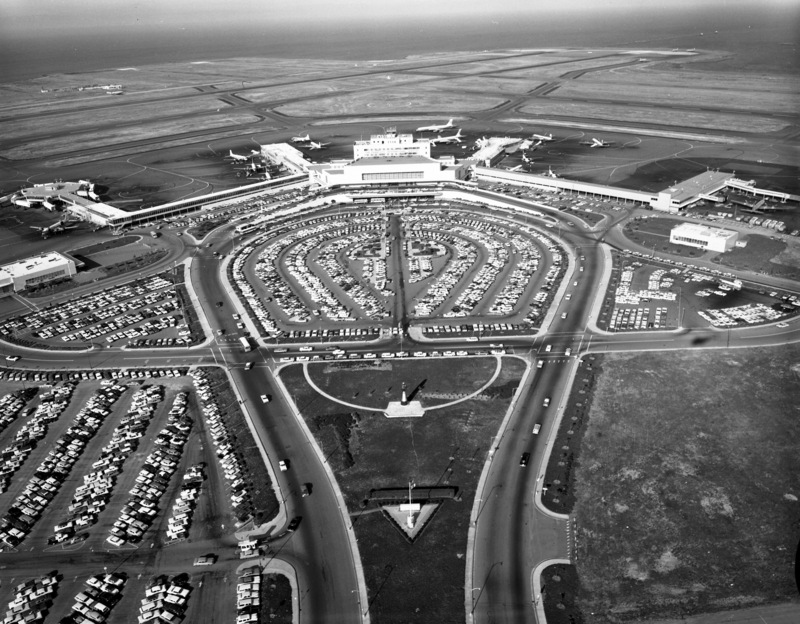 When your plane boarded at gate 2 in those days, you actually walked along a covered open-air walkway and entered the apron where the plane was waiting by going through a four-foot high, swinging “garden” gate. A modern new terminal was opened in 1954 which was a delight for travelers. As a young boy with a new driver’s license and a penchant for airplanes, I loved to drive to the airport, swing into a parking place just outside the modern new terminal and watch the airplanes come and go from the roof. How exciting that was! Good luck trying that today. 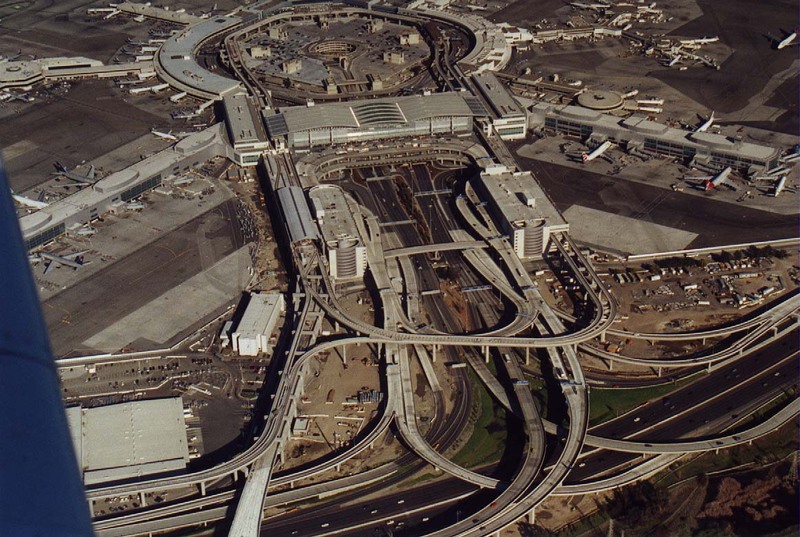 Like most of today’s international airports, SFO is a nasty complex of multi-terminals, elevated skyways which criss-cross each other in confusing fashion, and multi-story parking garages. My wife and I have lived in our house for the last forty-two years. We have seen, first-hand, the changes I describe, and we have been a part of those changes in the valley: Me, as an electrical engineer in the world of computer technology/start-up companies and my wife as a schoolteacher. For the first twenty years after settling here in 1970, life was beautiful in our little city. Most “things” were new and fresh and manageable – like buildings, shops and shopping centers, the local library, and roads that were smooth with plenty of capacity for the traffic back then. Then things began to change. Today, we have horrible traffic – not just at rush hour, but virtually all day long. What used to be a pleasant five minute drive to the new Sears with its wide apron of ample-parking, is today an effort due to a blizzard of cars and a string of traffic lights that never before existed. And good luck finding a parking space at Sears! That same store that was once the brand-new focal point of its spacious surroundings is now surrounded by a shopping mall and numerous other businesses and their office buildings. The massive new Apple headquarters under construction near that location will prove an additional, notable housing and traffic challenge to the area. Too Many People and Too Much Traffic! There are too many people here, now. What was once the major attraction of the region – great weather and surroundings – has been surpassed by the money that can be made in the local tech industries. The fine colleges and universities in the area are also a draw for the techies who come here. Stanford University is here, in nearby Palo Alto, and can rightly be termed the catalyst for the whole phenomenon of Silicon Valley. 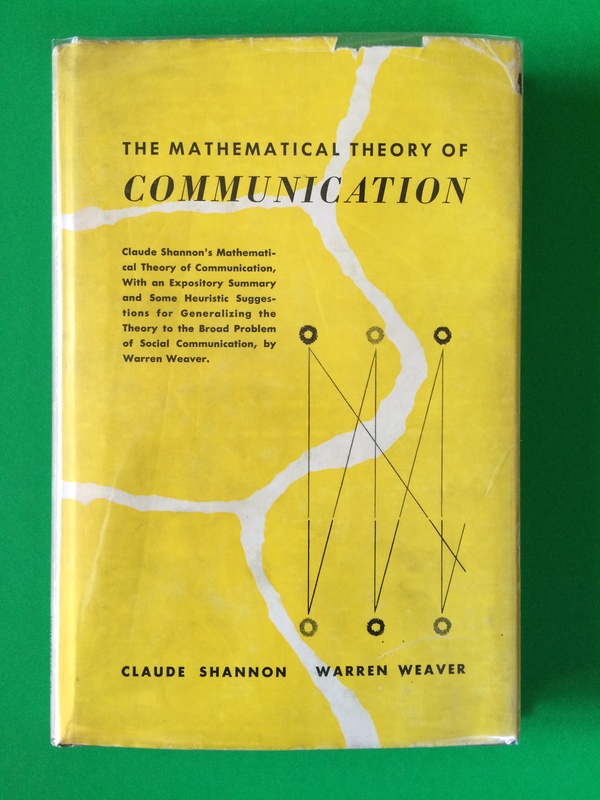 The remarkable story of Stanford University, itself, deserves a whole blog-post of its own (will happen) – in fact, a whole book of its own. Returning to the main point, the money and jobs which power this valley have increasingly undermined its quality of life by attracting too many newcomers, increasing the traffic immeasurably, and decreasing the air quality of this one-beautiful region. Yes, that may sound hypocritical since most of us were newcomers to this region at one time – in my case, decades ago, but there is another viewpoint to be considered. When we older residents arrived here, the valley had plenty of open space, easy access, plenty of services, and a long way to go before its economic promise was to be fulfilled through the efforts of us, its new residents. For me personally, and in the opinion of most old-timers in the region, continued “growth” in the form of new jobs and more people is not a positive trend at this juncture. If one is OK with the transformation of suburban living into urban living with its necessary population densities, the trend will not be a problem. For local officials who salivate over more tax revenue and for developers who turn silicon into gold, the situation is marvelous. Four to six-story “condominium blocks” are sprouting up all around the region, adding hundreds of new cars to the road for each new development. The modest homes in some neighborhoods that have stood for decades are increasingly being “shadowed” by two and three-story mini-mansions. These, of course, were built on proportionally small lots made available by the purchase and subsequent demolition of older homes. A favorite way to relax, for me, is stepping out on our patio at dawn to greet the day, a cup of coffee in hand; I often bid the day farewell in like fashion. In addition to the increasing roar and boom of traffic noise from distant freeways, one often hears the wail of sirens – fire or police. The sound of emergency vehicles was once a great rarity, here – no more. Now it is commonplace, not quite like NYC or downtown Chicago, but definitely on the rise as this area becomes more and more urbanized. Now, as I complete this post, it is the next morning, and my wife and I have additional insight from last night’s aforementioned presentation on the complex issue of “growth” in our towns and cities. The former city planner who delivered the talk raised some good points. I would like to have had some post-presentation discussion time with him, but that proved not to be feasible. The one question which intrigues me: What is the major paradigm underlying the evolution and ultimate destiny of towns and cities? Specifically, is it possible for a region to grow and reach an equilibrium point where both booming growth is curtailed and population densities stabilize well before the quality of life is adversely affected? 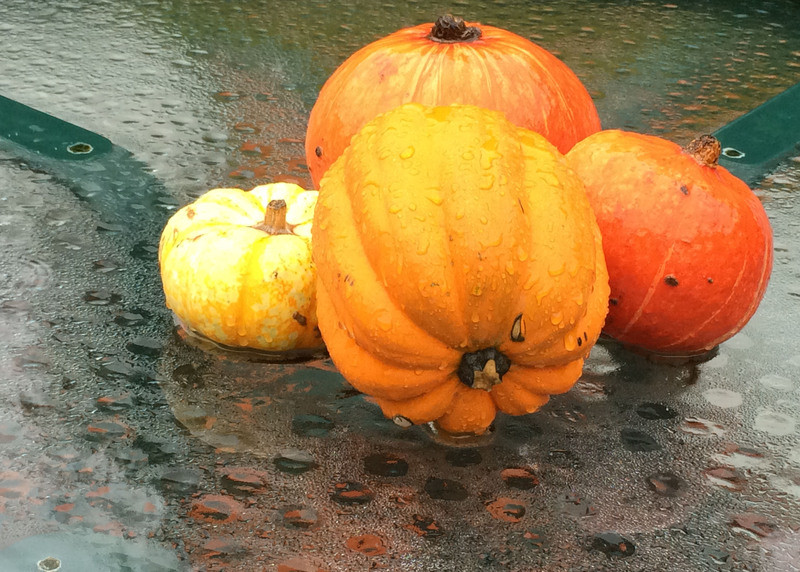 The variables involved in the dynamics of growth are fascinating and complex – Phd thesis material. A caution: It is important for city planners to succeed in identifying both the variables involved in growth dynamics and the “handles” available to modulate those variables. But one must realize that, at a given time and circumstance, the specific handles that need pulling (the necessary corrections) are not always available or operable for various reasons. The NIMBY (not in my back yard) effect can kill many generally meritorious municipal building projects, for instance. I suspect that the real answer to my above question is this: Towns and cities are destined to grow and achieve an optimal quality of life for their residents. From that point forward, they seem ultimately doomed to continue the urbanization trend until aging infrastructure, population density, and other of the many variables involved make life in such cities and towns unpalatable. External events and trends can drastically alter the status of regions. 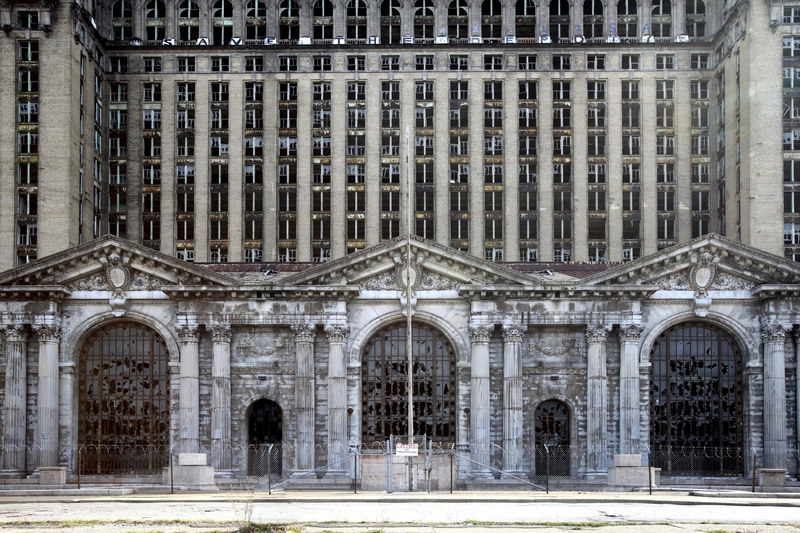 The histories of once-great cities like Pittsburgh and Detroit provide interesting case studies. Like Silicon Valley today, they were once the industrial gemstones of this country’s economy, and look at them now. The external trend that changed Detroit completely was the emergence of the global economy and Japanese auto manufacturers. The notion of towns and cities being destined to grow to their eventual destruction is quite troubling. One would wish for wise local governments and populations who could recognize a good thing and declare that “more is not good.” But perhaps we are doomed to a version of the “Shembechler doctrine,” Bo Schembechler being the former great football coach at the University of Michigan. Schembechler’s mantra for inspiring his players went like this: “You are either getting better, or you are getting worse.” In other words, there is no viable state which allows maintaining the status quo, staying at the current level. If you are not improving, you are slipping according to coach Bo. Similarly, perhaps town and cities must also either continue to grow (the illusion of getting “better”) or curtail growth and face the prospect of quickly wilting (getting “worse”) and a premature demise. History provides many instances of sustained, uncontrolled long-term growth which, while prolonging life, seems to impose an inevitable day of reckoning. Perhaps we are damned if we do and damned if we don’t!